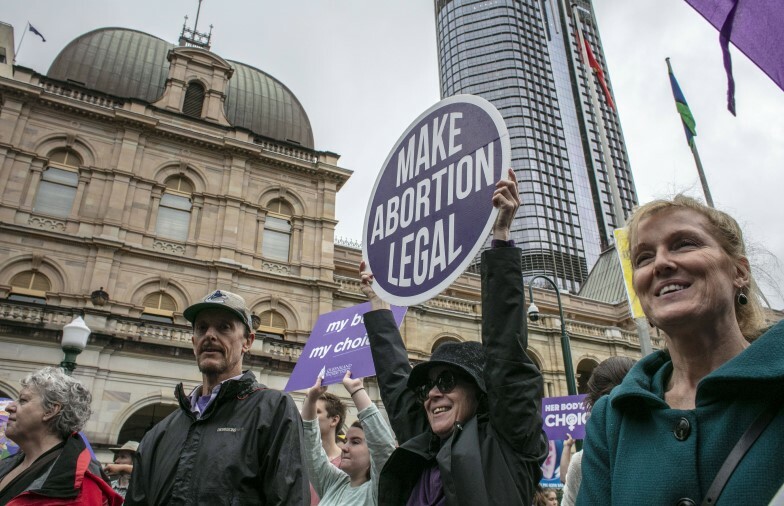 Queensland’s parliament has voted to legalise abortion and erase a 119 year old “morality” offence in the state’s criminal code, which a victorious Premier Annastacia Palaszczuk notes was written before women had the right to vote. The Guardian reports that the Termination of Pregnancy Bill 2018 passed 50-41 last night after both Labor and the Liberal National party members were granted a conscience vote, with three LNP MPs — former opposition leader Tim Nicholls, Steve Minnikin and Jann Stuckey — breaking with the party’s official stance against abortion. The move follows a 50-year struggle from women’s groups in the state, which included a series of 1985 clinic raids and unsuccessful prosecutions under former premier Joh Bjelke-Petersen. National MPs are reportedly collecting numbers on a potential spill against party leader and Deputy Prime Minister Michael McCormack, meaning that the Coalition could face its second leadership challenge in as many months. According to The Sydney Morning Herald, a showdown this week is not likely, however a number of disgruntled Nationals MPs hope to either vote McCormack out or force him to resign. Former leader Barnaby Joyce has expressed interest in once again taking the job but denied agitating for a spill for it, while Agriculture Minister David Littleproud has ruled himself out. McCormack, for his part, has warned against destabilising the party and argued that rural communities wanted “secure and stable” government. Former Prime Minister John Howard will campaign in Wentworth today in an effort to bring back “grumpy ­Liberal voters” for Saturday’s crucial byelection. The Australian ($) reports that Howard is “genuinely concerned” the former safe seat could be lost, and, along with Liberal candidate Dave Sharma, will campaign along Wentworth streets and shops. The move stands distinct from Malcolm Turnbull who has thus far refused calls to step in and support Sharma ($). I know why you are here, it’s for the cash. For the Pacific, it’s always about the cash. I have my cheque book here, how much do you want? The Environment Minister is accused of pulling a Peter Dutton and insulting the former president of Kiribati Anote Tong at a Canberra restaurant. Price has since rejected Dodson and Glendenning’s account of the comment so, for legal reasons, the “THEY REALLY SAID THAT?” banner is not rhetorical. The House of Representatives is due to debate GST legislation, while copyright changes covering TV and movie downloads are due in the Senate. The ABS is due to release the latest jobs figures. ANU and The Conversation will host public policy event “End of Life Care: A National Conversation” at Parliament House, with speakers to include Minister for Senior Australians and Aged Care, and Indigenous Health Ken Wyatt, Dean of the ANU Medical School Professor Imogen Mitchell, Palliative Care Australia CEO Liz Callaghan and more. Domino’s Australia CEO Don Meij will speak on “The Future of Technology at Domino’s” at the University of Canberra. Opening day for the fourth Invictus Games for wounded military veterans, to run until Monday October 29th, include the inaugural Military International Drone Racing Tournament, and feature Prince Harry as patron. Launch day for the world’s largest annual, free-to-the-public, outdoor sculpture exhibition Sculpture by the Sea. Parkinson’s NSW will hold a public forum with neurologist Professor Simon Lewis. The Sarah Hanson-Young v David Leyonhjelm defamation case is due back in court for an interlocutory application. Indigenous owners will protest an outback gas project at the Leigh Creek Energy Annual General Meeting. Women in Innovation SA will present the 2018 Winnovation Awards. Chief executive of defence company Bae Systems Australia Gabby Costigan will deliver a speech at a CEDA event about defence exports. A Swimburne infrastructure panel will discuss transport, energy, housing, and climate change obligations and feature energy specialist Simon Holmes à Court, Professor Peter Graham and more. The University of Melbourne’s Science Gallery will host a “Perfectionisms: pressure to be perfect” panel event with Dean of Medicine Professor Shitij Kapur, local astronomer Professor Alan Duffy, AFLW North Melbourne player Emma King and more. The WA parliamentary Community Development and Justice standing committee is due to table an initial report on the protection of crowded places in the state from terror acts. ACTU secretary Sally McManus and AMWU State Secretary Steve McCartney will present at a “Change the Rules” rally. The fourth Asia Pacific Prader-Willi Syndrome Conference will launch with a celebration of the future development of Specialist Disability Accommodation apartments, designed for people with the rare genetic disorder “Prader-Willi Syndrome” (PWS) which leads to a constant craving for and seeking of food. A commemoration event will be held for the 50th anniversary of the Australian Army Aviation Corp. The Darwin Innovation Hub will launch the Catalysing Women Science Program in Northern Australia. Launch day for the Mosaic Festival of Arts, to run until Saturday October 27th. Ipswich City Council Interim Administrator Greg Chemello will hold a press conference on the redevelopment of the city’s CBD.